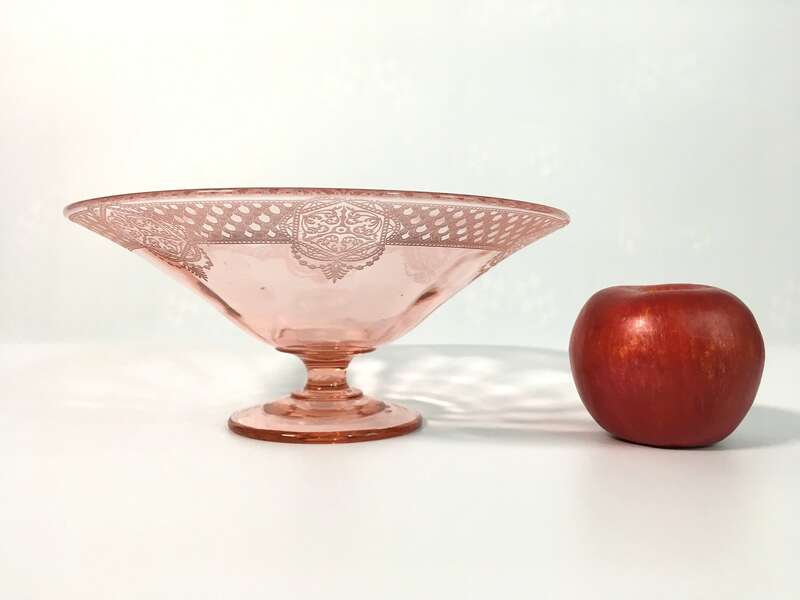 A beautiful pink depression glass fruit bowl that has pedestal round base and an eye-catching design all around the upper rim. 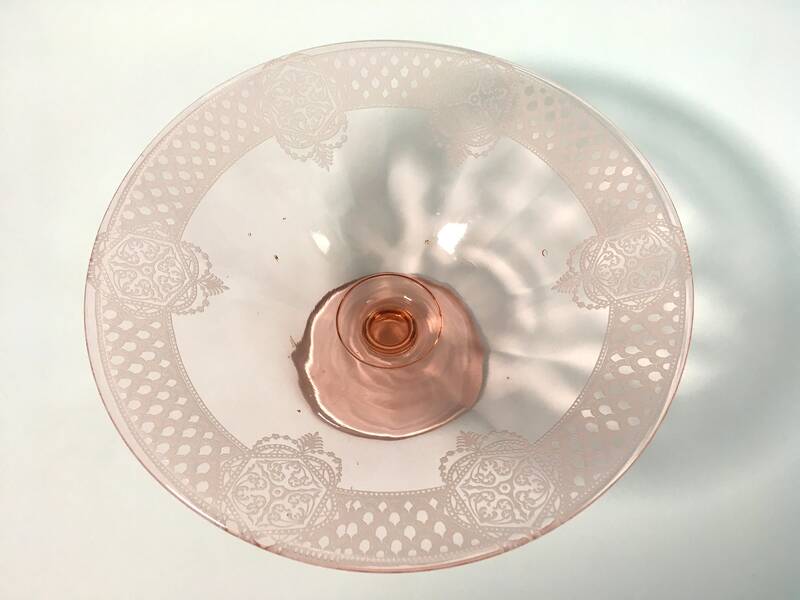 The pink pressed glass bowl has a wonderful 1 1/4" wide design all around the top inner rim with 6 larger hanging garland designs spaced equally throughout. 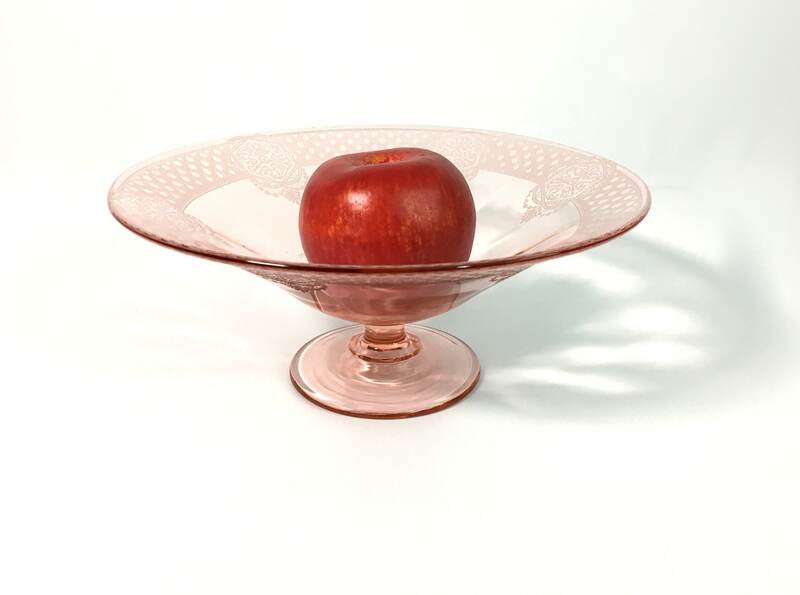 The garland designs hang down about 2" into the bowl. 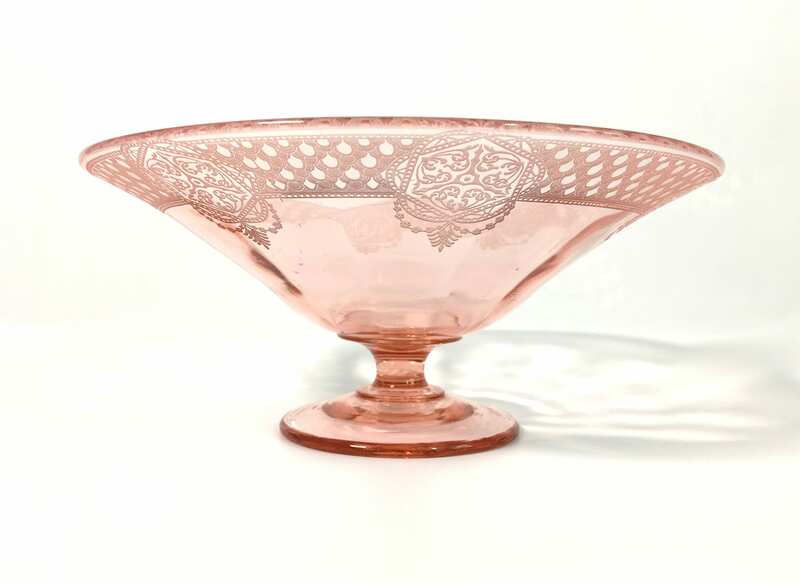 The sides of the bowl have a light panel design that gently slopes downward toward the short pedestal stem. The base is round. 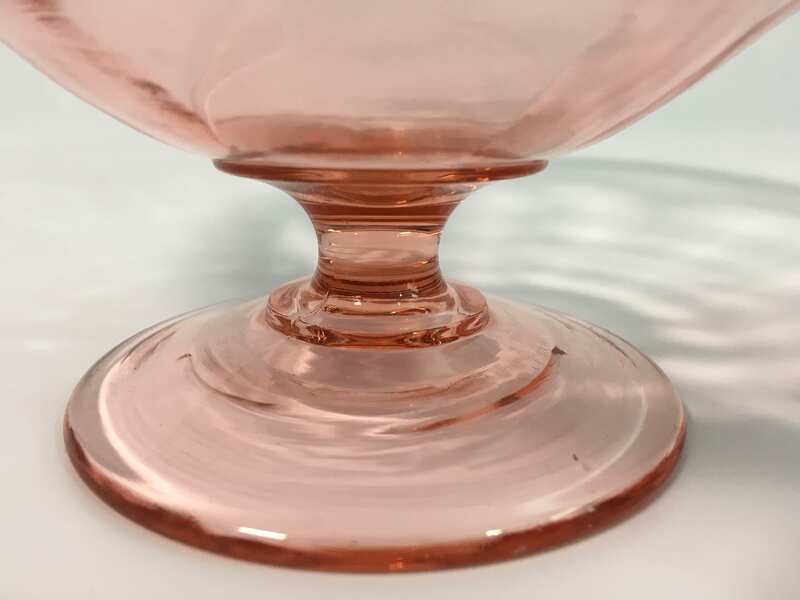 The base is plain pink glass with no designs. 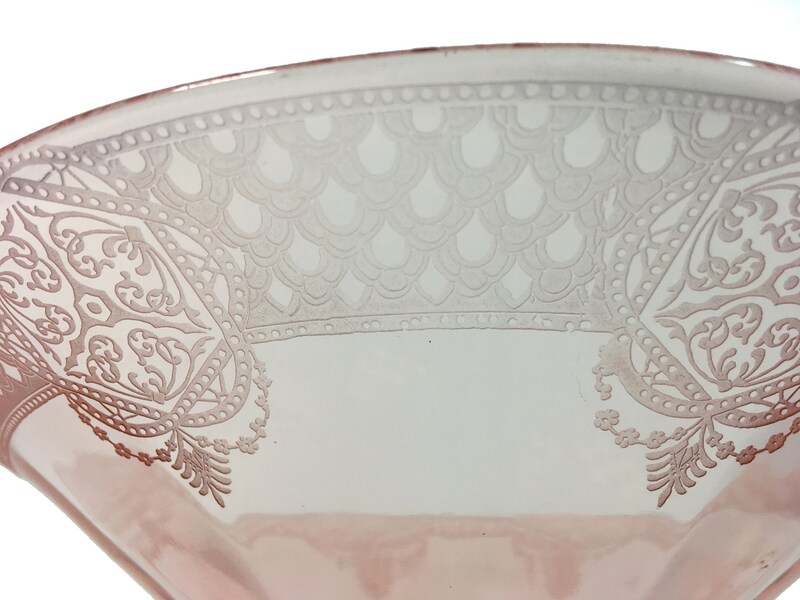 I believe the designs are acid etched on the back side of the bowl. 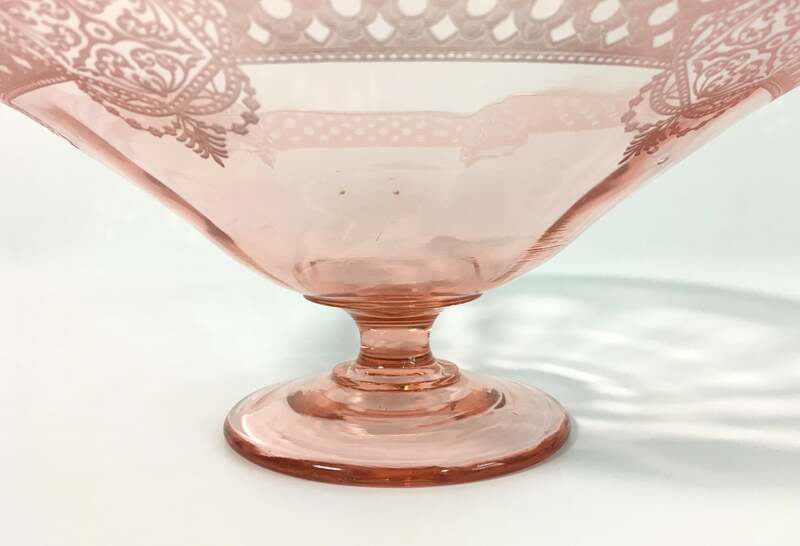 This depression era bowl has some small air bubbles and discolorations in the glass here and there typical of depression glass - see photo closeups of the inside of the bowl. Measures about 9 inches wide and about 4 inches high. (The pedestal section by itself is about 1 3/4" in height.) 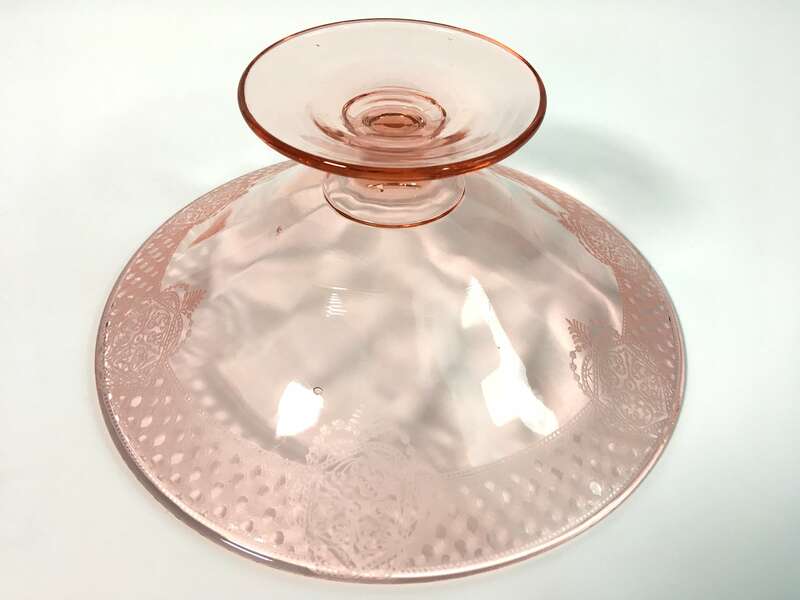 The round base has a 3 3/4 inch diameter. In nice vintage condition with no chips or cracks. 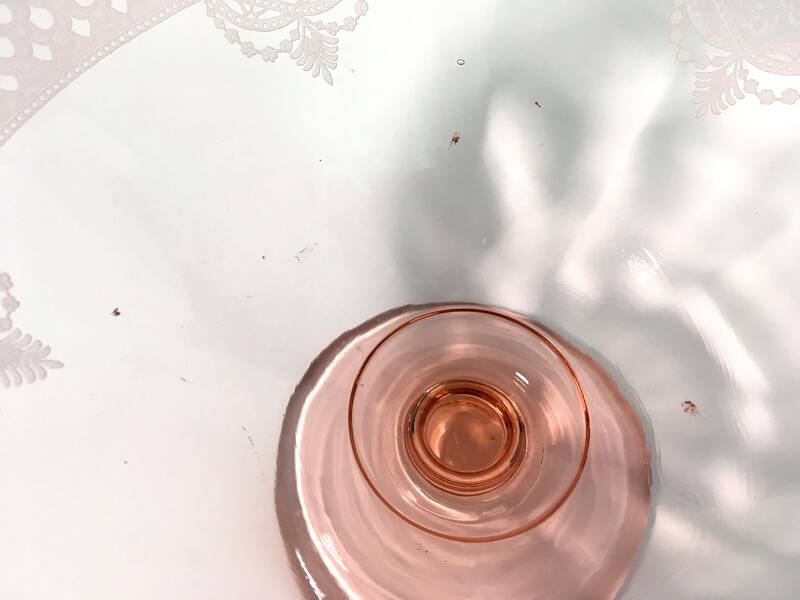 Some inclusions in the glass in various places that happened during production and typical of depression glass. 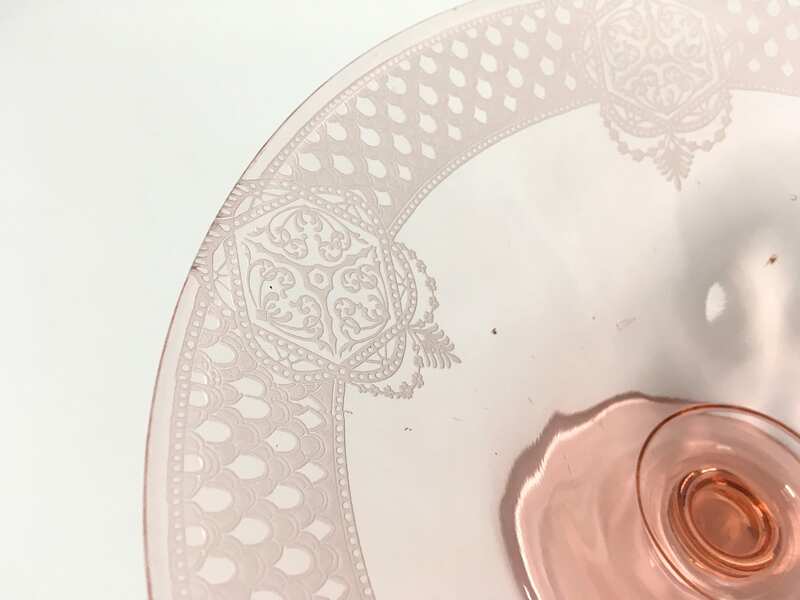 Light scratching typical of vintage glass item that is circa 1930s.